This begins as a typical but enjoyable story, but it eventually blossoms into something great. The author turns your world upside down in the best possible way. This is definitely one of the very best visual novels I have ever read, masterfully told in a way that nearly brought me to tears. There are some translation problems, but I still have to give it my highest recommendation. The story is so great, I'm playing it right now for the first time, and I can't wait to do it again. Yes, there is :) Haruka Nami’s walkthrough of my game was posted here (https://harukanami.itch.io/second-chance). Wow, I loved this game! The story is very good!! Well, Arantis IS a hard one to get. :) Try changing a little your conversations with him and see how he reacts. You could also use Haruka Nami’s detailed walkthrough of my game – you can find it here (https://harukanami.itch.io/second-chance). I will try again! I did look for a walkthrough, though, but although I saw that she had written that she has made a walkthrough, I can't find it anywhere on the link you sent. Maybe I'm blind? D: Sorry for the inconvenience, but would it be possible to send me the link directly to it? Use the link I've sent you again, click red button "download now"on that page and choose the second file (walkthrough - 59 kB). It's an excellent long visual novel with lot of branches, some heavy (but logical) twists, a chance to shape the character's morality (and "win" as either good or evil, yay! ;-)) plus a self-sustained female in the main role, which is a very talented sorceress on top of it. This hit almost all of my (personal) preferences so well I simply had to love it and thanks again for making it! The characters are likebale and romance was quite touching at many places (especially Xander and the finale!) and it was really enjoyable to live it through. - Grammar and typos. I'm not from UK/US and my English is far from flawless but some mistakes were so severe that even I was disturbed by them or they even made it hard to understand the sentence's meaning. One for all: "She's nothing I can handle" - was an option at one point which in fact meant "She's nothing I _cannot_ handle". - Give the reader a bit of credit in regard of his/her intelligence, it will make the story even more likebale and touching. Quite often there were lines like "I didn't have to look who it was. I already knew. It was Xander." Or something like that, where from the story even the reader knew it had to be him and the next paragraph would confirm it anyway. In this case, simply scratch that "It was Xander." and leave it hanging in the air instead. It's much more novel-like. - Lastly... I know this may be hard to implement in a VN with four love-interests and so much freedom in choices but sometimes I felt the novel keeps all options open for too long. Like it was already quite clear from the previous choices who Aria loves or hates and yet she still pondered "romance" even with the character she already made clear to dislike or doubted her interest in the one she was already very close to. And the same was valid for their reactions towards her. I am aware there are some things that could have been done to make this game better, but unfortunately I had to face many limitations (my English as my second language isn't very good :( ; my programming skill isn't great either; after paying for graphics I couldn't afford to pay some professional for anything else, etc.). If you need help with grammar, I wouldn't mind helping you out. Or perhaps this issue is simply that the mac version hasn't been updated to the new version? The story telling was truly amazing. The lack of CG was not an issue due to how greatly it was written. I enjoyed Second Chance so much that I literally played 2 playthroughs in one sitting. The plot twists had me wanting more and more, lol. That's funny because I lose interest fairly quickly. Casimir was my favorite but I couldn't help but love the secret character as well. It was just a friendly though that you might need some feed back for your next ones... which I definitely will look forward to and won't mind to pay either ^^ Good luck! oh wow! the dialogue and story writing, the characters... i never expected this to have such intricate setting and backstories !! unfortunately i'm having trouble with Arantis' path.. :(( keep getting the normal, bad end... and the good end was 'a new beginning' ?? I liked the story enough that i went back and donated money for it. I would have donated more money but i is poor. Please keep me happy by making more games like this one. Make sure they are linux 64 compatible please and thank you. Thank you for your support! I greatly appreciate it. Can't wait to read it! Remember, have fun creating it so we can have fun reading it. I really like this game! It was very cute, and had an engaging story, although the excessive exposition was rather distracting at times. The art was good, albeit limited, and the soundtrack was absolutely perfect. I typically don't leave the music on in games (I find it distracting), but the music in Second Chance was so good and soothing that I had to leave it on. The overall game (but mostly the art style and the ending scenes) reminded me a bit of Serafina's Saga, which is one of my favourite visual novels. is there some kind of a walk-though for all of the endings for this game? Maybe there will be in the future, but for now there's only some tips (look at the comments below). Oh. Then an after storyline is good enough. :3 I'm a sucker for good endings! Especially romantic ones like with children/pets! hi! i downloaded this game last night and i honestly didnt think i would be into it as much as i am. i thought it would be a whatever type of game, but this game literally had me on the edge of my seat. i felt like every second had me screaming in shock! i enjoyed the characters, especially the banter between arantis and everyone else. i also enjoyed how devoted xander was to aria even though he knew that there was a giant chance she wouldnt come back to him. ps. i just played arantis' route (ive only played his and accidentally played xanders! when i mean accientally i mean i was trying to play arantis' route in the first place but i guess i did it wrong and i accidentally ended with xander, which was also a win situation so its okay!) and i was just wondering; is there any way to have a good ending (aka end up with arantis) without sacrificing aria or xander? i know thats asking a lot, especially because technically theyre the only two people who came along that can actually save everyone, but it breaks my heart sacrificing either of them. i was just wondering because i know in xanders route they both sacrifice themselves and come out alive, but i also am aware that its because they were both in love. but in arantis' route, aria is no longer in love with xander as he is with her. sorry if i sound really complicated or something! i was just curious and i know it never hurts to ask! keep up the good work! i also read somewhere that english wasnt your first language, and i think that you did a pretty darn good job making this game. im looking forward to your next games!! i am SCREAMING i was expecting you to say no! now i have a bunch of hope. thank you so much for the quick response, i appreciate it because sometimes people dont respond and im left wondering! Fantastic game. Lots of depth; plenty of replay value, and, I'm sure, the other ROs were awesome too. I'll get back to them one day. Looking forward to all the other games that you have to develop! Cheers. I'd thought my original post above, was too long and had edited it before posting. Unfortunately, I didn't realise the bit that made more sense got chopped out. I'd written that I loved all the guys, but, Xander, was fantastic to the point that I can't bring myself to romance the others. Absolutely loved it! love it so far! anyone else having trouble getting arantis ? Or getting Osario while still being friends w/ arantis (Both as the sweet, moral persona)? It could be challenging, but not impossible to befriend them both at the same time – that’s because Arantis and Osario have completely different personalities and they don’t go together well. There are some things your MC does or says in front of them both that one approves, while the other disapproves. "Arantis likes a challenge and a little bit of bickering, so don't be too amenable to him. " "MC for Arantis: carefree, funny, flirty, energetic, self - confident, sociable, eccentric, quick – witted, sassy." I've just finished the first playthrough of this game. And oh my dear god I'm so in love with it I can't even begin to put words on it! I usually comment only after I'm done playing all the routes I wanted to play - and yes, sometimes I'm only planning on playing one route - but this time I'll make an exception and comment after only one route, even if I'm going to play all of them. The main reason is that the game is very long and very emotion loaded. Because of that, I need to take a break from it in order to let my feelings and my heart cool down before I play again, or I'll feel too guilty for doing another character's route haha! Before I go deeper into the review, I'll start with non spoilery more technical things. Well, I've seen people tell that before, but the grammar needs some work. Now, since english isn't my language either, it didn't really bother me or hinder the experience, and I wouldn't be able to correct it anyway (I'm pretty sure I do my fair share or grammatical errors too haha). The art style is not really up my alley, but it's pretty nicely done and the characters are quite expressive, wich is the most important thing. Their designs are also lovely. And the music is gorgeous! I know it's freeware, but I really like the selection - it fits the mood perfectly! And now, the part that contains SPOILERS! Be warned if you're reading this even if you're not the dev nor have finished the game! So, I've decided to start with Casimir! And I must say the choice was difficult! Xander was not an option since I've avoided looking too in depth at the screencaps here, and I didn't read the comments before playing, so I didn't really know who was the fourth character. Because of that, I've decided for a first playthrough one of the boys from the party would be the best. But honestly, even having decided that, it was still hard as hell, because I love them all! 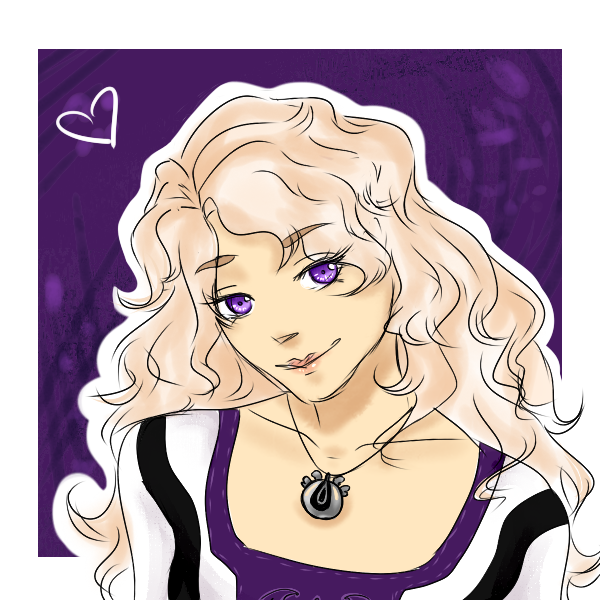 So yeah, since I've decided to play Lysandra as a nice girl, I've tried to be the nicest possible to all of them anyway, and make my decision with the flow of the story... And I ended up getting naturally drawn to Casimir. I guess even if I love them all, he's really the one and only that would by my character type. And oh dear, he's so noble, gentle and cute at the same time - he's an awesome character and a great prince and I love him to no end haha! I guess I have to leave Xander's route and do it last. The guilt would be too big if I did another route after doing his, so yeah... I guess Arantis will be the next one. I don't know if I like him or Osario better, but his route seems slighly harder - may as well do it next. Speaking of difficulty, I must say I LOVE the amount of choices the game offers! You did a great job with allowing the player to shape Lysandra's mindset and opinions about life, people, love and so on. It was sooo enjoyable. And also, it allowed to really shape the relationships and interactions between the characters as please. The characters really feel alive thanks to that! But at the same time, it didn't make the game too difficult wich would have been annoying since it's so long. Congrats on that! Another thing I really enjoyed was the fact you didn't put any "secondary romances". I really dislike when characters end up with someone else if you don't do their routes. Some games do that, but to me it feels like in the end, the route you do doesn't matter since an NPC will be able to do exactly the same as you for the character, in the end. And also, the game's very title "Second Chance". I'm genuinely happy the title isn't only about Lysandra's second chance at life after the amnesia, but also about everyone else's second chances. Casimir who lost his first love, Arantis who was betrayed by the one he loved, Osario who was only used by the person he wanted to notice him and respect him... And of course Xander who already lost Lysandra once. Okay... I feel like I'm writing a book about your game at this point haha! I think I should stop now! So yeah, to conclude this gigantic comment, I want to thank you again for making this game. I really enjoyed every bit of it, and it may be one of my favorite otome games ever. I'll probably comment after playing each other route, so expect more from me! Though I'll probably get more into depths about the routes once I'm done with all of them. It would be better. Anyway, thank you again for the wonderful experience! Haha, I'm glad you say I understood the game so well! Makes me happy! Even though I wanted to wait before replaying, since I've finished another game in the meantime to clear my mind, I guess I'll be able to try Arantis's route sooner than expected, actually! Though, as I said, I'll go deeper into the routes once I'll finish them all (well, all the good endings at least). But I'll probably comment anyway once I'll be done with him. - MC can have her memories wiped out again (bad ending nr 4). Oh my god, I can't believe it! Haha I though "maybe" people can die at some point, but seeing that... Wow! By the way, I'm more or less halfway through Arantis's route, so I'll probably "report" about that soon! I wanted you to know that your game is amazing even if it's not that popular. I hope that you won't stop making visual novels/games. Thanks so much for your comment! It means a lot to me you put an effort to write this and let me know you like my game :) It really encourages me to make more games in the future! "English is not my native language" - hey, same here :) There are otome fans all over the world, so it doesn't matter. PS. A little tip - Arantis likes a challenge and a little bit of bickering, so don't be too amenable to him. It's been a long time that a visual novel really pull my heartstrings lately, at first I thought this was going to be short like most free vn I usually found but then I'm intrigued because after an hour I still haven't finished and end up taking all night to finish it. and I don't have any regrets doing that. I really love the plot twist in the story, lots of choices and how each characters interacted, and the first ending I got is NR 11 and I was on dilemma to go for other endings because it was the perfect ending for me and I don't want to change it and Xander is hands down the best man, because I love how dramatic he is with his words towards his beloved. I really hope to see more of your works in the future! Thanks a lot. I'm glad you've enjoyed my game. The grammar was absolutely atrocious. I spent almost literally every second of the game rereading and trying to make sure I interpreted everything correctly ontop of mentally correcting typos and repeated spelling errors... Was Crystal purposefully spelled with an 'i'? That being said the game was sweet, the story was lovely and interesting and the characters were wonderful. I can never choose between Casimir and Xander I just... Always feel heartbroken no matter which way I go. The main story was a touch predictable but there were a bunch of little pieces that fit together nicely. It reminded me alot of many other stories that I enjoyed without outright copying the plot and I enjoyed it more than I initially expected. The art was nice, a bit cartoony and rough but very endearing. I enjoyed the game over all but it was admittedly a bit too much work to read for me. Having to rearrange sentences in my head so that I could make sense of the writing was a bit of a chore so I doubt I'd really replay it but it was a very nice story and I'm glad I continued reading until the end. "It reminded me alot of many other stories" - Really? Which ones? I'm curious. I did assume that English wasn't your native language, considering that I it is still very good. I just personally have a lot of trouble focusing on the story when I'm mentally correcting it all in my head. It's not your fault at all but it is definitely something that affects my ability to enjoy the story. I'm glad you're not taking offense to it and I'm really happy to hear that you're still working to improve it even though it is probably a small matter for most people. The other stories would be Dragon Age obviously with the mage tower thing, the bindings and the secret mage ritual. You put your own spin on it and it was different enough that it remained interesting. Also one of your companions turning out to be a prince. =P Then also Amnesia(just very vaguely but it made me think of this when I initially learned she'd lost her memory), with the memory loss and not being able to remember the person she had been with for the past years of her life. Which the circumstances were very different and no one was dying and she didn't have a spirit in her head or anything so less so that story. Xander was also very different from Ukyo so I'm not sure why it reminded me of that at all. But I think the main thing it reminded me of regarding the memory loss is SoulSet. Arantis even reminded me a bit of Marco. As I said the similarities aren't such that they take away from your story in the least. Thanks a lot for giving this game a try! Some people tend to ignore low-budget games (without flashy intros and expensive high-quality graphics) assuming they can't be worth playing. I'm glad you weren't one of them! Thank you thank you thank you. I look forward to seeing more work for you! You should definitely make your next game commercial, I'd pay good money to play your games! For some reason it wont open on mac? It should work on your macOS (I know it worked for other people). Remember to first extract the files. Hmm weird because I downloaded the file and clicked the zip file and it led me to a folder that contained the game (it does this with all of the games I download from Renpy &it usually opens but..) but nothing would pop up. But I know for a fact that some people were able to open my game on macOS. The music is amazing! It really fits the theme of your game! I think so too and that's why I've chosen Kevin MacLeod's songs. I thoroughly enjoyed this game. My favorite characters were Xander and Arantis. Xander won for me hands down - there's nothing like a devoted lover who's also a rebel ;). Osario was the most difficult path for me. I had to remember who he was as a character so I had to make choices that would make him feel more capable and more confident. It's nice to see people are responding so positively to my game (especially since I'm just one girl and not some big company that hires a lot of people). n e one get xander on their side w/o leading him on a bit? You mean during encounter with Valedorn? I think it's enough to be moderately nice to him (without leading him on). I just want to add that you wrote the romance option I most desired to see in a visual novel with Xander. Not only did you avoided the clichee ''yandere'' trope, and even though his romance with the protag plays a large part in his character, you managed to give Xander a personality of his own ( in the way he cared for his sister, in interacting with other characters, and in the way he talks with the protagonist and how he perceives her). He is a perfect mix of a villainous man and a caring lover. You really hit the nail on the head with that combination without one quality overlapping the other. He is protective of the heroine but he also admires and respects her. ( his character design was also a nice touch for me: that fatal combination of long black hair and icy blue eyes (/ •́ω•̀ )/ ♡ ). Throughout his route, I felt that they had excellent chemistry, a display of true love at its best. Thank you kindly for his route ! :'D I wish there were more characters similar to how you wrote him. Cheers! Thanks! Xander is actually one of my favourite characters too :) There will definitely be someone with similar personality in my next game! <3 I'm very pleased to hear that your future vn plans also include more of his archetype. Will be following you for updates :D. Take care and thank you again, dear ! Ending nr 6 "TILL DEATH DO US PART" is so beautifully tragic it made me cry! Ending nr 4 " HISTORY IS WRITTEN BY THE VICTORS" is by far the most shocking! I've played the game for 2 days now! It's an amazing game with an interesting storyline! There were many grammar issues, but it's understandable. All the choices were a bit overwhelming, but I guess as you said, there's a lot of options to explore for yourself! With that being said, it really is quite difficult to get good endings for the guys. I've been trying to get Osario, but I always end up failing Xander's test of character. Can someone give me any tips to make Xander's test of character pass? I tried reloading to an older save file and acting nicer to him (while focusing more of my choices to be about Osario) Do I just have to be completely affectionate to Xander? I believe it would be quite helpful if there was a list of hints, if a walkthrough isn't possible to be made. It will really help more players (and to avoid more comments asking for help) But that's just my wish, because there really is too many choices that sometimes may or may not influence your endings. I suppose I'm too used to having some sort of "good choice indicator" or a walkthrough that let's smoothly move on to each of my desired endings. Nonetheless, the effort to create this game was tremendous, and it overall amazing. You don't have to romance Xander for him to pass his character's test. Your MC just has to help him be "a better man" - merciful, collected... Don't let him become angry, vengeful or act selfish, but most of all don't let him kill anyone if there is another solution! As promised I've added some hints on how to get certain guys. That's because Casimir is a rather difficult man who doesn't trust easily. To make him fall for your MC she basically has to spend with him as much time as possible, support his decisions, help him fight his enemies, be fearless, loyal and honest :) Casimir is also sensitive about his social status so be mindful of that. Remember that Oriana can help Aria determine the progression of her relationship with him. I'm not planning to make a walkthrough - I want you guys to explore the options and see for yourself what works for different characters! You're most welcome :) I'm glad you've enjoyed my game. Don't be so modest, your English is great! thanks! is it your first game? it's do well-written and funny, if there are any of your other games, I would love to play them. So many choices reminds me of bioware games and nwn's dance with rogues, I believe you have a great talent! ps. your womanizer mage character is awesome! The full version of the game is now out. Enjoy! I AM SCREAMING like the comment below!! wtffff this is hands down THE BEST vn I've ever read. The dialogue and choices are amazing and THAT TWIST!!! I'm ready for more. Wow, thanks a lot for such a high praise! HOLY GOD IM SO !!!!!!! all of my screaming aside, there's grammar mistakes and misspellings, but a simple run through will fix those. the art's neat and simple, whoever the artist is has a lot of potential and i look forward to seeing their art style grow. Wow, thanks so much! I'm glad you've enjoyed it so far. By the way, I'm aware of possible grammar mistakes and misspellings - that's because English isn't my native language. I will have to look for someone to help me fix those in the future.